I finally got around to finishing the next book in the Star Wars Legends timeline that I'm reading through. This is the third X-Wing book in the X-Wing series. This book is still very close to the events of Return of the Jedi in the old expanded universe. The empire is torn into different factions, but they're still big enough to be a threat to the New Republic. 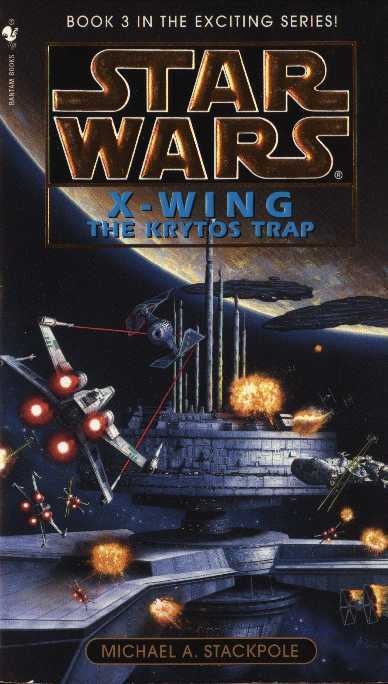 This is the worst X-Wing book so far, and if I remember correctly, it might be the weakest overall. It's not a horrible book but it lacks the pacing and excitement of the other two leading up to it. The majority of the book is about the trial of a member of Rogue Squadron who may or may not be an imperial agent (he's not). The other major event is the capture, imprisonment, and attempted brainwashing of another member of the squadron. The problem is that these events are 90% of the book. There's a little bit of X-Wing action thrown in at the end but it feels forced and misplaced. It's sad, because this series is generally about Rogue Squadron and their missions both on the ground and in the air. But this book is about the courtroom and jail cell. I'm really hoping the next book gets the series back on track.